It is not unusual for well-intentioned individuals to give a family incorrect advice regarding their ability to qualify for Medicaid. As Medicaid crisis attorneys, we are aware of at least 30 money-saving strategies to help single individuals in this situation and more than 60 strategies to help married couples in this situation. And, if you can provide us with some basic information regarding your income and expenses, we can tell you promptly how much money we can save you and when your loved one would be qualified for Medicaid benefits. It is never too late to call us, unless all of your assets have already been spent. We evaluate the suitability of long-term care insurance and other catastrophic illness protection strategies in light of your particular circumstances. 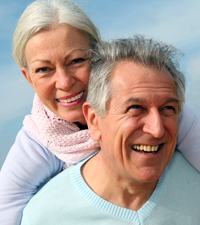 We also evaluate the quality and benefits of specific long-term care insurance policies. Contact us today to schedule a free, no-obligation consultation.